GoodLot, located in Caledon is the first farm-to-barrel brewery in the Greenbelt – Ontario’s finest agricultural region. We recently visited their newly opened bottle shop. It's great to see another hop farm turned brewery, and hopefully we see more of these. Their bottle shop is a converted shipping container and they currently have 4 different beers available. Our favorite was the brown ale. They are making ales and lagers using ingredients from their own farm. 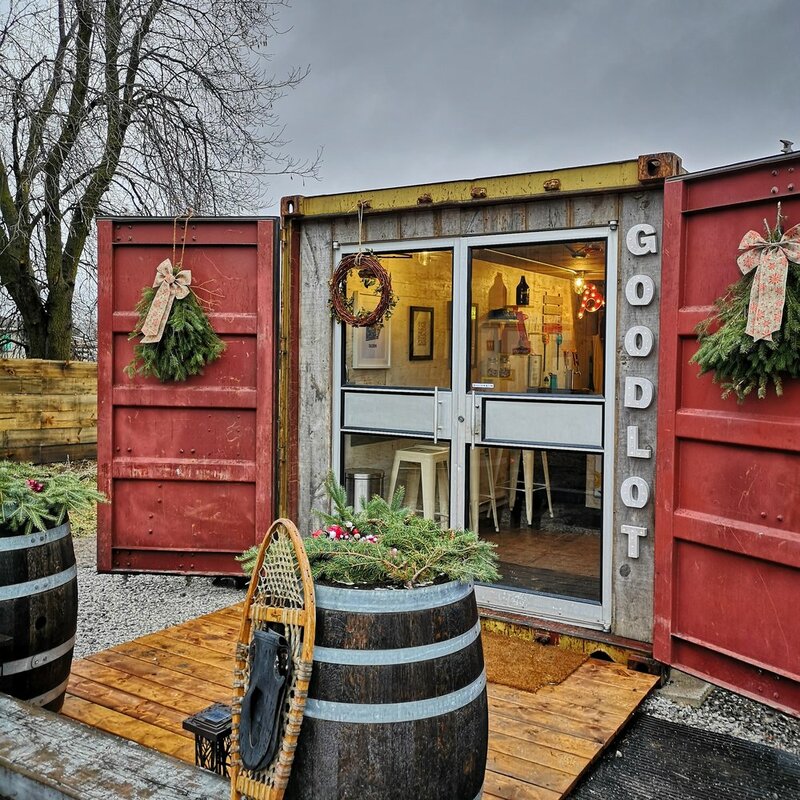 Pictured above is their bottle shop, a converted shipping container! Loving the use of the stubby bottles!